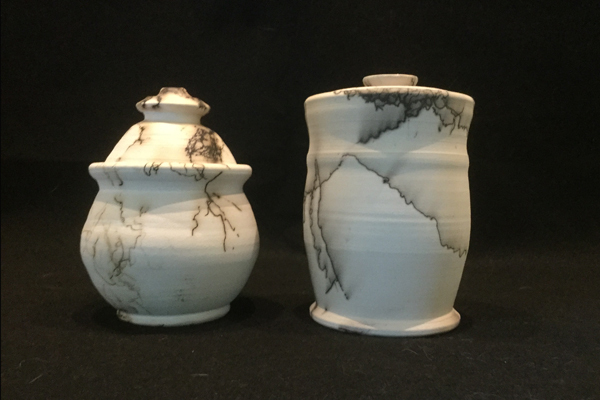 First introduced to pottery in Baltimore, Maryland in the 1960’s, Marlene started on a kick wheel, where her leg provided the “spin” for centering and forming the clay into beautiful vessels. It didn’t take long for Marlene to became a life-long student of ceramic art. 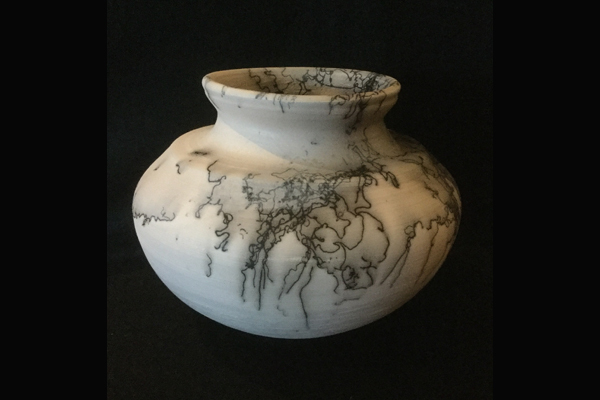 Living in Italy for four years in the 1970’s gave Marlene the opportunity to further her knowledge and love of the great masters of ceramic art. 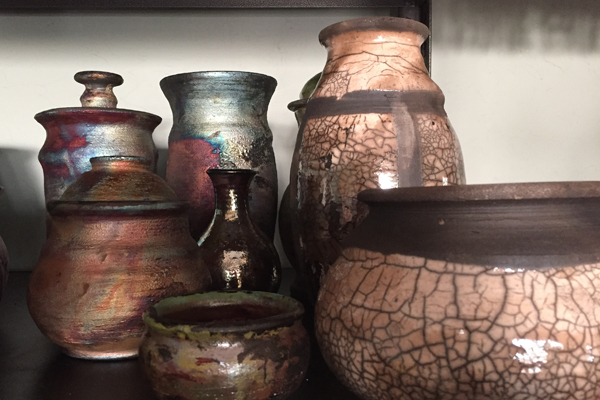 After returning to the States, Marlene embarked on a 20-plus year career in marketing and public relations, and after retiring to Punta Gorda in 2004, quickly reunited with her love of creating pottery. 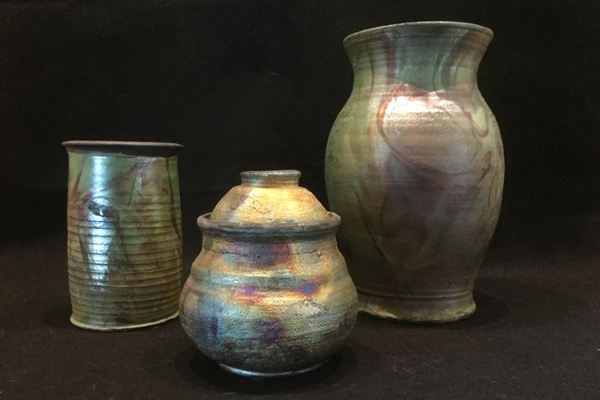 Marlene creates raku glazed pieces and fires using a gas kiln and a reduction process. 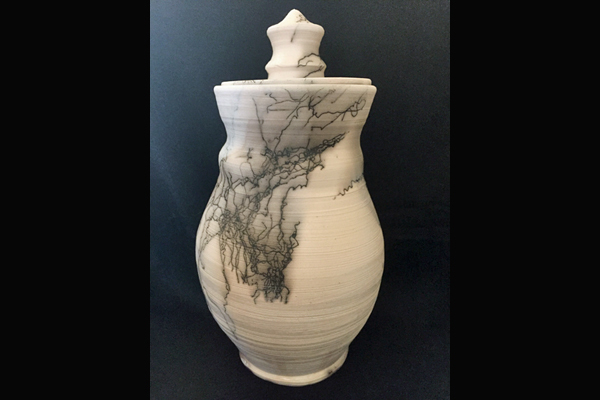 However her real love is creating unusual horsehair pottery fashioned in a style similar to that of the Plains Indians. 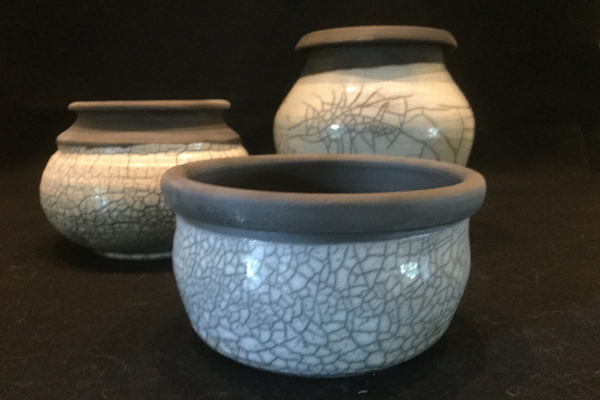 The process involves firing a thrown vessel and removing it from the kiln when it is still glowing hot. 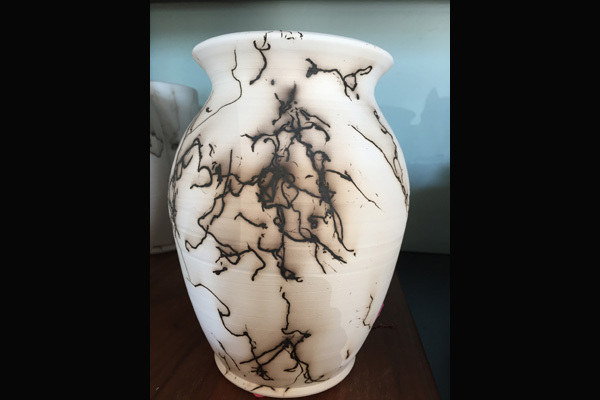 The horsehair is then applied and it instantly vaporizes, leaving unique carbon trails and smoke patterns that are the hallmark of horsehair pottery. Additionally, Marlene accepts commissions to create one-of-a-kind pieces for horse owners by using tail or mane hair from their own horses. 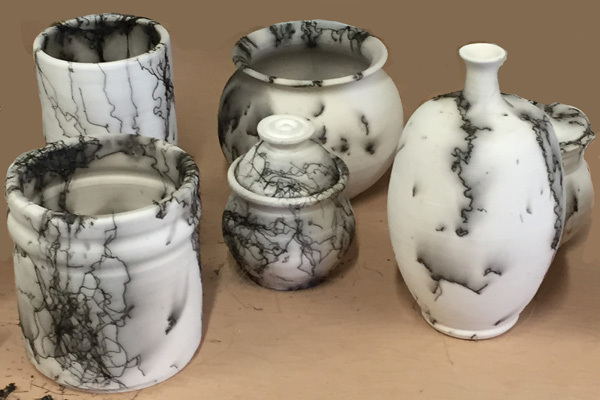 “There is nothing more rewarding than taking a ball of clay and forming it into something beautiful that memorialilzes the life of a horse,” says Marlene about her work. Most mornings find Marlene busy at the wheel with her latest creations. 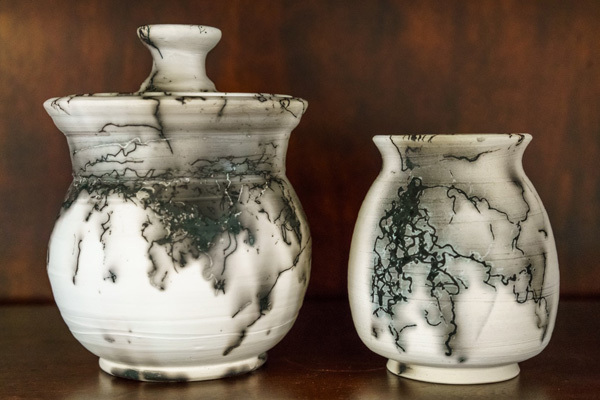 Her horsehair and raku pottery are sought after by many collectors from across the country.